Volantio helps travel suppliers (e.g. airlines, hotels, cruise lines) better connect their inventory with targeted customers. Their platform seamlessly integrates travel suppliers’ revenue management and availability systems to deliver real-time pricing and availability directly within client’s dynamic marketing campaigns. Travel prospects will then start receiving highly personalized hyper-targeted messages containing exactly what they are looking for. The result? 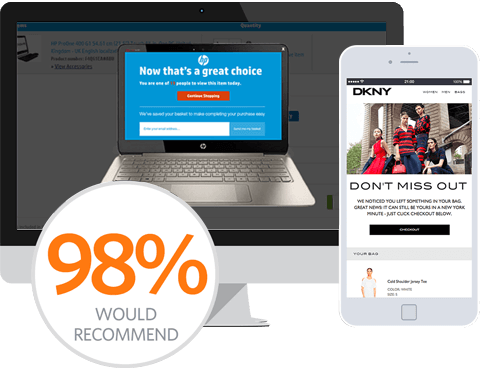 A seamless customer journey that drives and increases conversions. SaleCycle’s code sits inside Volantio’s Price Alert tool. This allows us to work together to integrate real-time pricing and availability within our intelligent emails and marketing automation. Accordingly, we can enhance the customer journey by providing consumers with up to date information at crucial touch points when supply is short and demand is high. Alerting consumers with this information can also to add urgency to the customer journey, triggering the customer into their purchasing decision leading to an even higher conversion rate. Our solutions go hand in hand and work together to produce exceptional conversion rates for our clients.